It's a good and happy Monday morning and I want to start it with my entry this week for Today's Flowers. 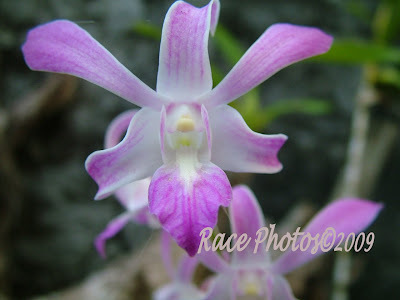 I have this very exotic (for me) lavender and white orchid to post. I've always considered lavender as an exotic color though my Mom wouldn't have lavender colored flowers in her garden, it's not her color because she identifies it as flowers for the dead. Anyway for me it's very elegant and beautiful and though I can't have it on our garden I can have it here in my blog :-). 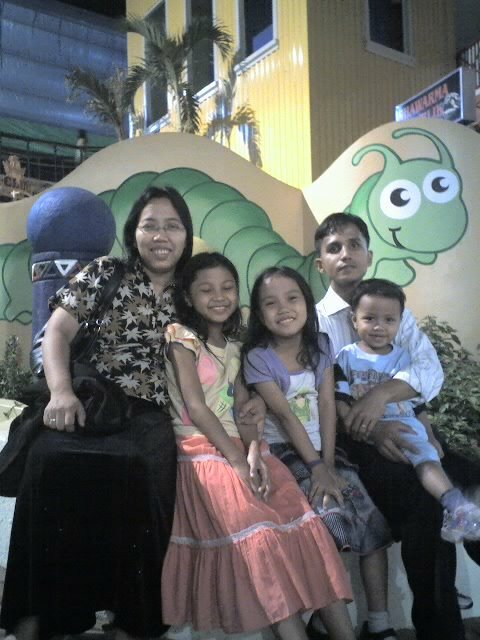 This picture was taken in Nabas, Aklan together with many of my flower entries here! The soil was very rich there that's why flowers blooms beautifully. Want to see more beautiful flowers? Visit Today's Flower => here. That color is gorgeous. So beautiful. It looks to be the Harrisoniana. I have always considered lavender and purple to be lively colors. Very beautiful flower, thanks for sharing. I love lavender too, your orchids are very elegant. This is a wonderful photo. Thank you for sharing it. Very nice dendrobium! You have lots of beautiful flower photo collection huh, Race?!! A beautiful colour for an orchid. Lovely shot as well. The color is beautiful and I just adore the orchid. Lovely and beautiful, and smiling to me, too.